Its been just a couple of days that we passed on information regarding the leak of the specs sheet of the Blackberry 10-L Series Laguna Smartphone. And here comes another leak of the specs sheet of the BLACKBERRY 10 ARISTO, A-Series device. According to the specs sheet, the BlackBerry Aristo will sport an OCTA Glass OLED 4.65 inch display with resolution of 720 x 1280. It will be powered by a quad-core 1.5GHz Qualcomm APQ8064 Krait processor and has 2 GB of RAM. It will also have 16GB of internal storage expandable via microSD card (16 GB). It has a 2800 mAh battery which cannot be removed, but that doesn't really create an issue as BlackBerry handsets usually last for a while on one charge. There will be an 8MP camera at the rear that captures video in 1080p and a 2MP camera on the front. The phone is also equipped with WiFi, microUSB, NFC, DLNA and Bluetooth 4.0 connectivity. 4 microphones are present for noise reduction and also there is a feature called Face Detect for phone calls. The unit also has LTE connectivity. This phone certainly looks to be a full package device. We have to wait for this gadget to go official to see what it has in stores for us. 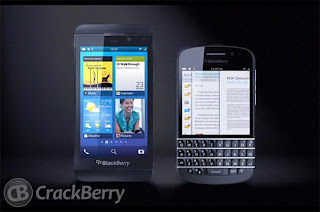 0 Respones to "BlackBerry 10 Aristo specs leaked"